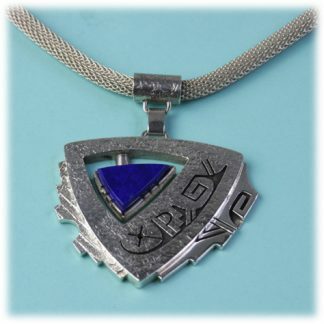 Victoria Adams 18k and sterling spiral design brooch/pendant with lapis and turquoise. 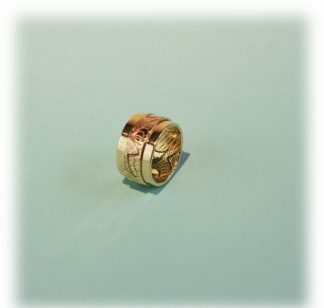 Visit our artist page on Victoria for more work and information on this outstanding artist. 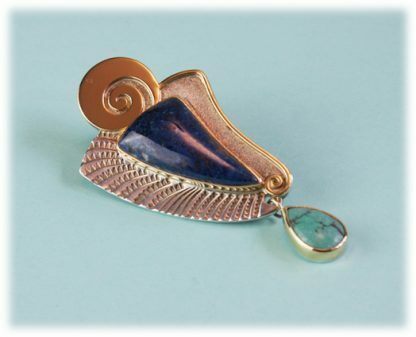 Victoria Adams was inspired by her scuba diving adventures and created this beautiful 18k and sterling spiral design brooch/pendant with lapis and turquoise. 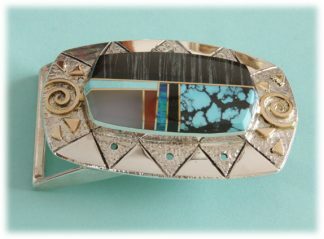 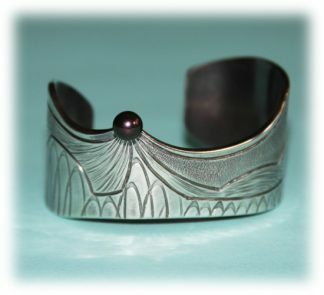 The brooch is approximately 2 3/4″ long and 1 1/2″ wide.